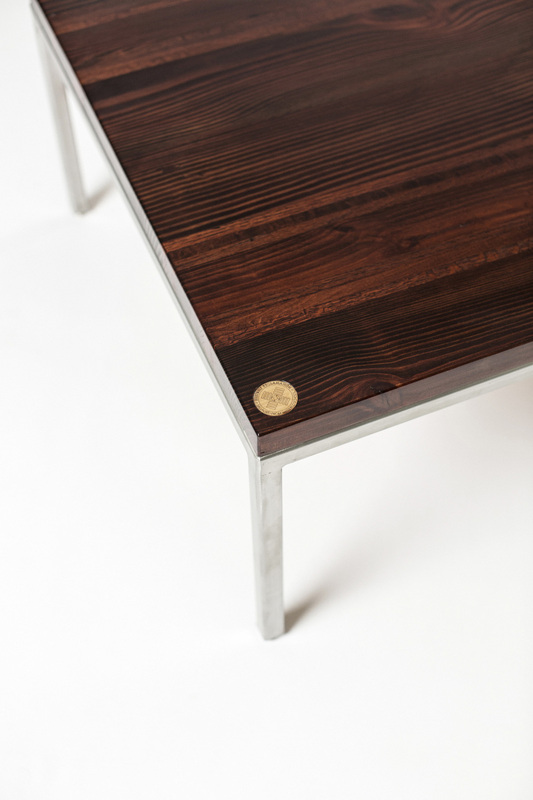 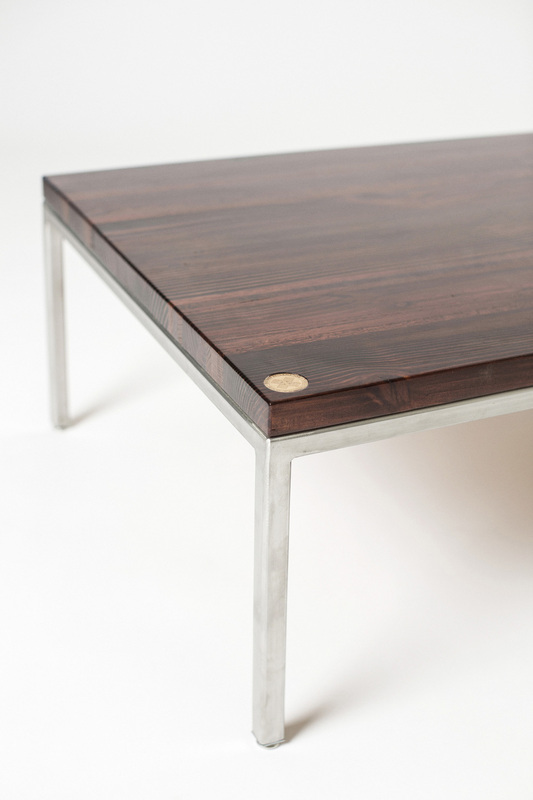 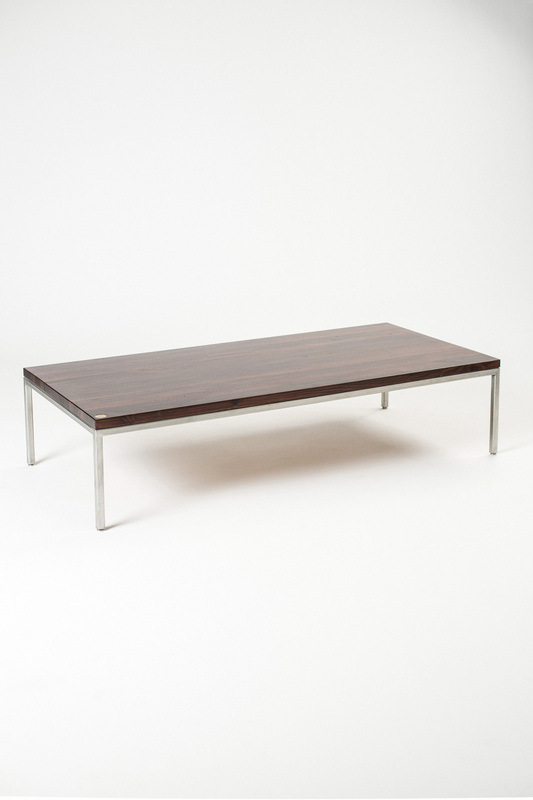 Simple and elegant, this table is perfect for any contemporary or eclectic living room, office or lounge. 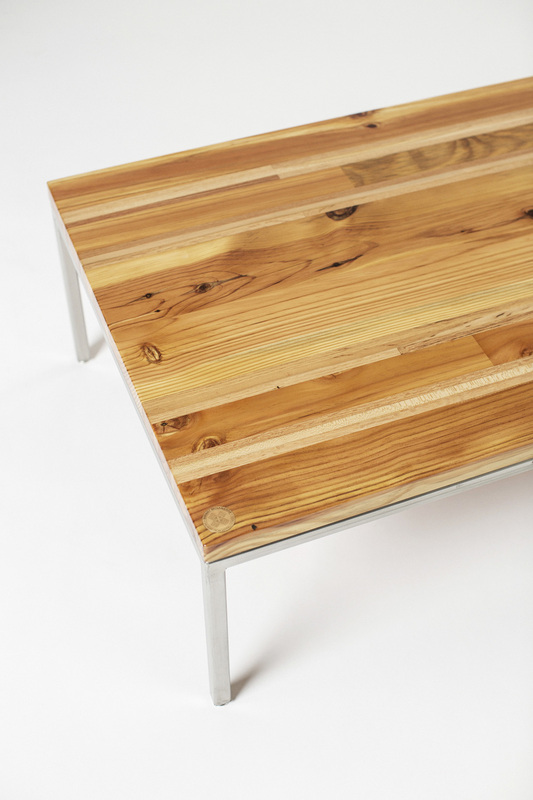 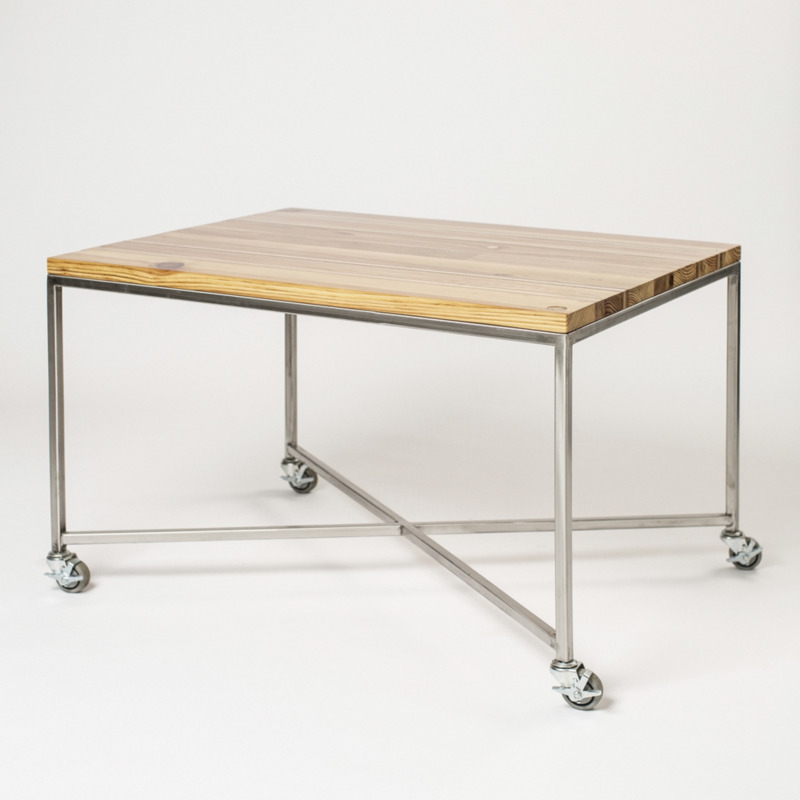 The Mather Coffee Table’s sturdy base is constructed from 1” high grade 304 stainless steel square tubing. 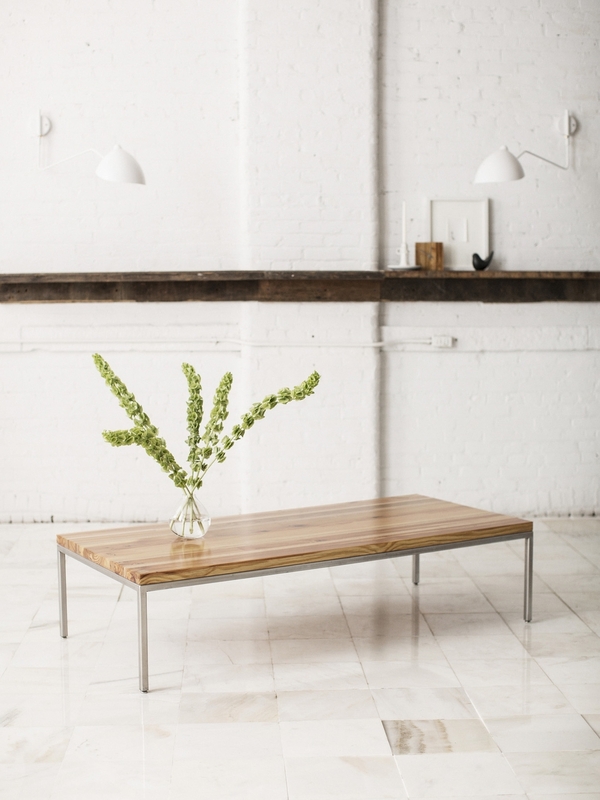 Its surface is 1-1/2” thick handcrafted reclaimed pine with oak and maple accent striping; Available in both a rich mahogany and natural finish. 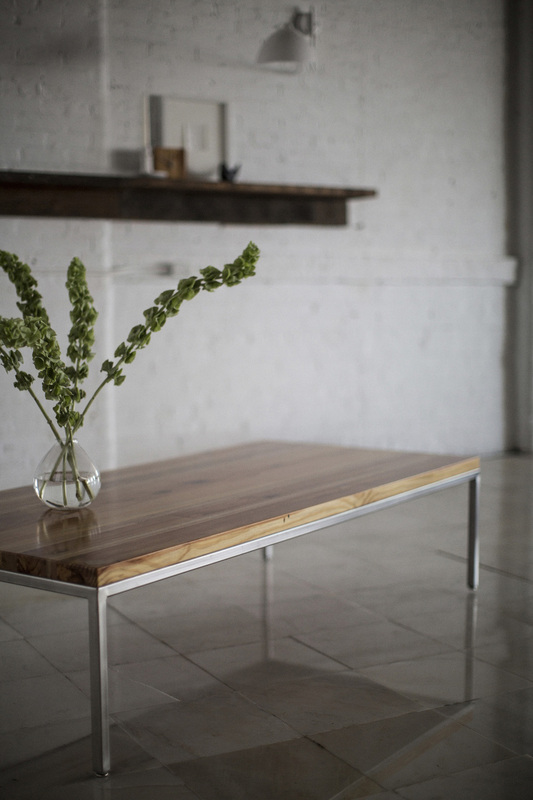 64" x 30" x 15.5"